Covering prenatal and perinatal psychology, somatic and psychodynamic psychotherapy, somatic therapy and transpersonal psychology. Energy & Character has a small, exclusive but highly professional readership consisting of around 650 dedicated subscribers. Around 100 universities, institutional and professional libraries in many parts of the world receive the journal, which is sent to subscribers in about 40 countries worldwide. Over 300 authors have now written for Energy & Character, around one third of whom have been women. This is a very good percentage compared with the gender ratio of most publications. 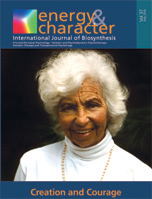 Energy & Character was founded in 1970 as Biosynthesis journal. 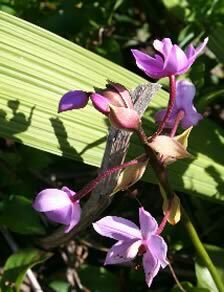 It is now the best known body psychotherapy journal in the world, and the second longest established in its field. As the founding editor, David Boadella has been editing the journal with co-editor assistance during the early 1980s from Steve King in England , and between 1994 and 1998 from Andreas Wehowsky in Germany and from 1999 till 2001 by Gisela Wallbruch. Since 2003, the manager editors are Milton Correa and Esther Frankel. Dr Silvia Specht Boadella has been co-publisher and co-editor of Energy & Character since the journal became the publication of the “International Institute for Biosynthesis IIBS” (Switzerland) at the beginning of 1999.